If you are looking for an extremely simple and extremely tasty cookie recipe, check this out! These cookies are very easy to make and are the perfect texture. I made them in about 15 minutes and could not be happier with the result! 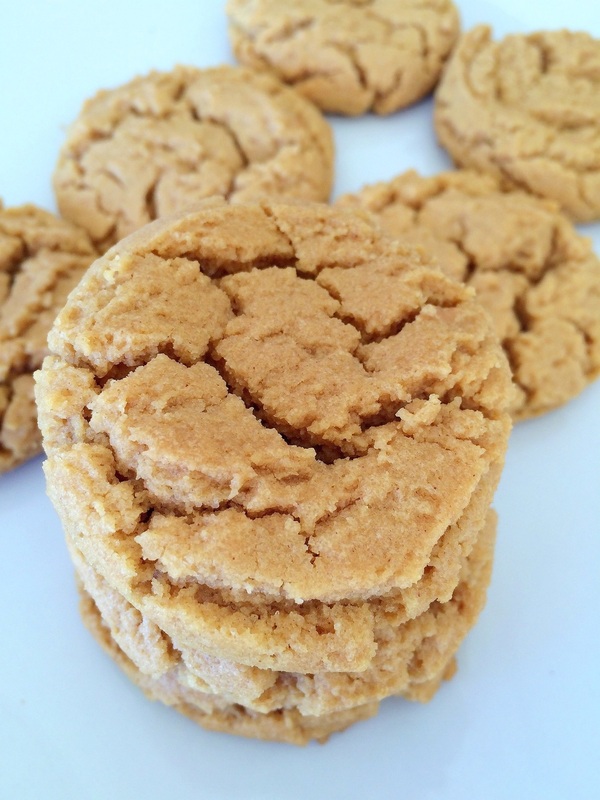 They're perfectly soft and crumbly with just the right amount of peanut butter flavor. And the best part? There's no flour! No gluten! Woohoo! With just 4 simple ingredients, you can make these babies in no-time. Caution: they will cause smiles at a dangerously fast rate. 1. Preheat oven to 325F. Line a baking sheet with parchment paper and set aside. 2. In a stand mixer with a paddle attachment or in a medium sized bowl, place all ingredients in the bowl and mix until smooth. Using a tablespoon size ice cream scoop or with a spoon, scoop up a small amount of the dough, roll into a ball and place 2 inches apart on the baking sheet. Bake for 8-10 minutes and let cool on the baking sheet until completely cool. Note** when warm, these cookies may crumble so be sure to not move them around too much before they are completely cool.